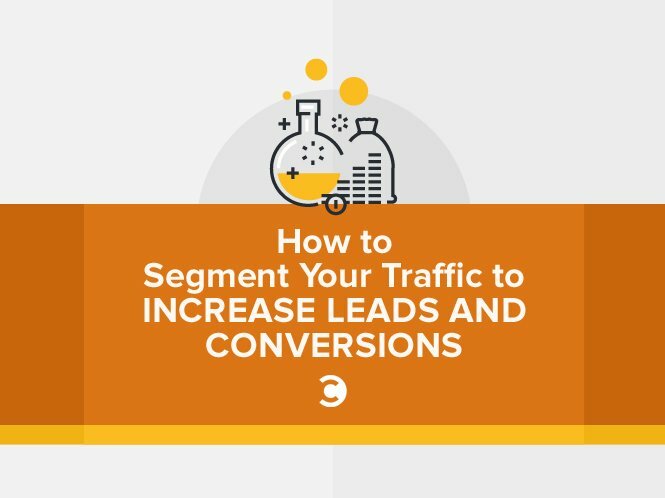 Whether you’re marketing an e-commerce site, an SaaS company, a blog, or a Fortune500 company, traffic segmentation has the potential to transform your lead generation results by delivering the right experience to the right person at the right time. Before I explain how to create personalized web journeys and marketing funnels for your audience buckets, let’s first establish why segmentation matters. Imagine you’re looking at the Google Analytics report for your website’s homepage. You probably see a number of page views. Now imagine your page views as real people standing in a large room. You can probably see a mixture of people: good clients, bad clients, high-paying clients, low-paying clients, and people in various industries with different roles and interests. People on your website have varying needs. Despite this, most websites send all visitors through the same one-size-fits-all path. But why, when traffic segmentation can generate an 89 percent sales uplift and 58 percent increase in average order value? No segmentation versus traffic segmentation into buckets. In 2015, my team added traffic segmentation to MusicLawContracts.com, an e-commerce site that provides music contract templates. We added a form on the homepage that required visitors to answer, “Im a _, looking to _.” (e.g. “I’m a record label looking to sign an artist.”) When they hit “Find my contract,” they were redirected to a personalized landing page recommending the most relevant product based on their responses. In other words, segmentation improved the site’s conversion rate, average order value, and the time it took for someone to find and purchase a product. How? By making it easier and faster to get different visitors to the right product for them. By knowing two pieces of information (who they were and what they wanted), we could also personalize all of our email marketing campaigns to be more relevant to their specific situation. We could now show the right message to the right person. So, how can you apply this to your website to improve your marketing metrics? 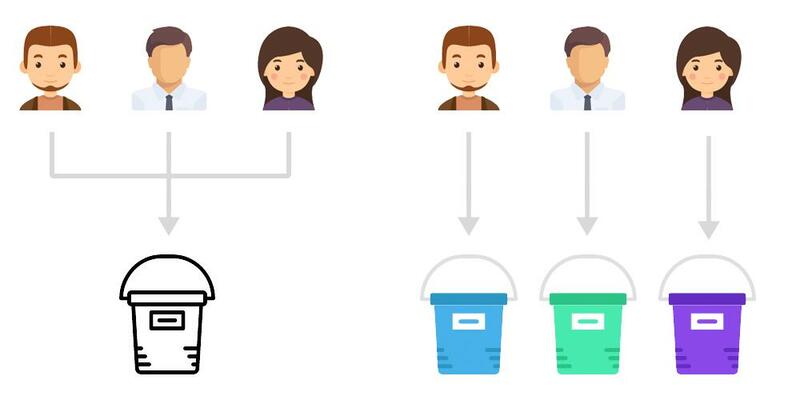 There are several methods you can use to segment your visitors into different “buckets.” We’ve already seen how you can use a form tool to segment people into different buckets. This is my preferred approach, as it provides an engaging experience for visitors, while enabling you to capture leads in your CRM and create valuable reports to better understand your audience. There are other methods like using cookies to dynamically track and “swap out” content on your site, but as this approach typically requires complex software to manage, I’d recommend starting off by segmenting visitors using a basic form. One technique that has become quite popular is having a tool or form on your homepage that sends visitors down a personalized path when submitted. This is the approach that we use for Leadformly’s homepage. As you can see below, we have a form that asks visitors to describe their company. Based on their answer, they’re directed to a personalized “Thank You” page with a demo video that’s personalized to their type of business. In addition to providing a more relevant experience to visitors, we’re also able to see what percentage of our visitors are enterprise companies, agencies, SMBs, and startups each month. We can even break this down by traffic source to see precisely where high-value enterprise leads are coming from, so that we can take the guesswork out of which channels we should focus on for lead generation. 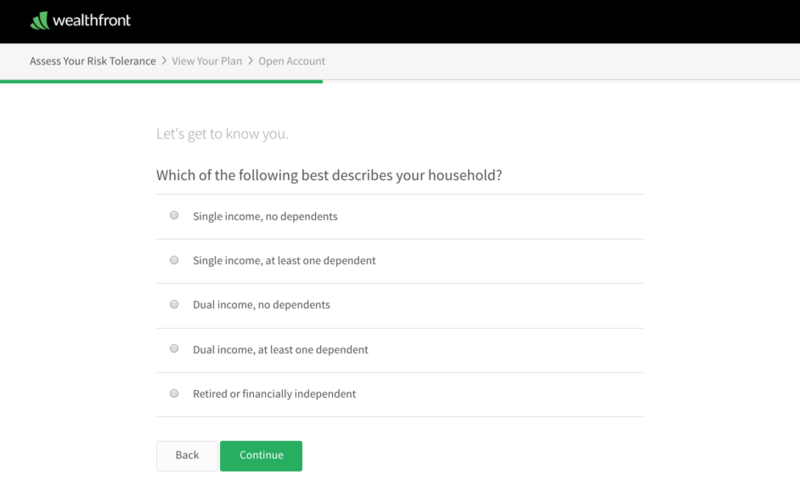 Another popular technique used by companies like Hubspot, Wealthfront, and Crew is using an interactive form to give visitors a personalized report or recommendation based on their responses to a series of questions. While the visitor benefits from the free advice, these companies are able to cleverly segment their audience into different buckets, enabling hyper-targeted marketing later on via email marketing, retargeting, and direct marketing. We tested this approach on a site called BrokerNotes. 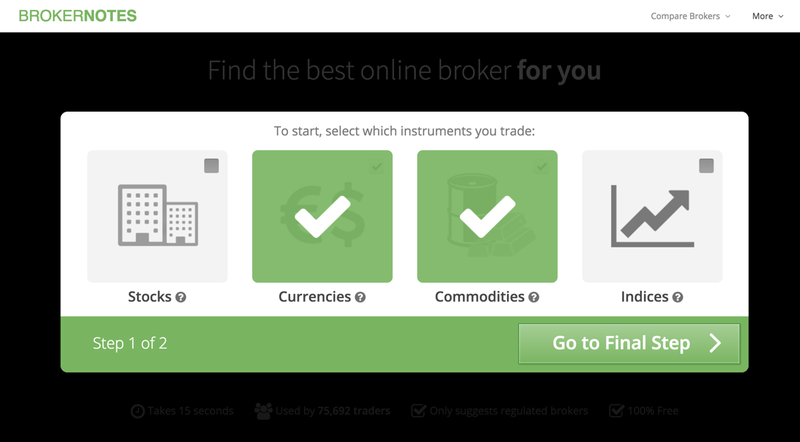 To “match” traders with a suitable broker, we built an interactive form that asked a series of questions that would produce a personalized report on which brokers would be suitable to use. This interactive form increased BrokerNotes’ conversion rate of landing page visitors into leads from 11 percent to 46 percent. It also provided extremely valuable data on what traders on this site wanted to trade, their level of experience, and much more. Most importantly, though, the visitors on this site were receiving their desired outcome (learning which broker to use) much faster, as a result of better segmentation. Sometimes the audience insights you get from segmenting your audience into buckets are more valuable than the immediate uplift in results from providing a better user experience. A few years ago, we published a guide on finding the best web hosting. At first, the article was written for experienced webmasters who might be considering a mid-high range VPS or dedicated server. After segmenting readers of this article with an interactive form, we discovered that we were totally wrong about our audience (whoops!). 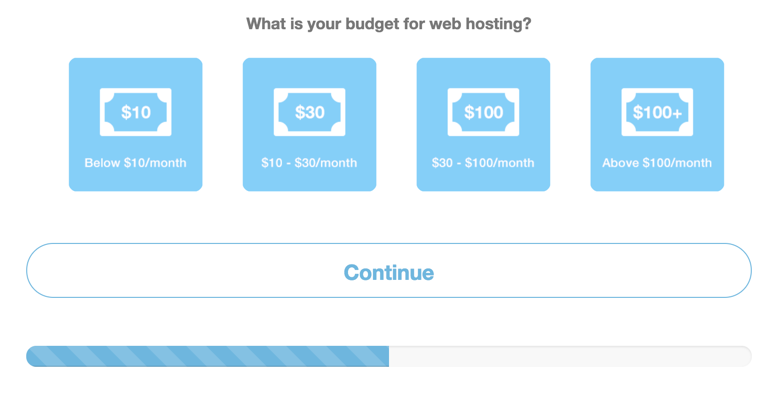 Over 70 percent of the people reading the article were beginners looking to spend less than $10 per month on web hosting. After learning this, we scrapped the entire article and re-wrote it with a focus on helping beginners get started with their first web host. As a result, all of our engagement metrics improved, from time on site to bounce rate and number of shares. If you’re running a content business or want to better understand the audience on certain pages of your site, segmentation might provide answers that would otherwise be tricky to identify. If you can segment your audience on your website while capturing a visitor’s email address, you can obviously use the segmentation information to send hyper-targeted email campaigns that are going to the lead. One of my favorite examples of this is from a company called Paper Style, which increased its revenue per email by 330 percent using the following approach. 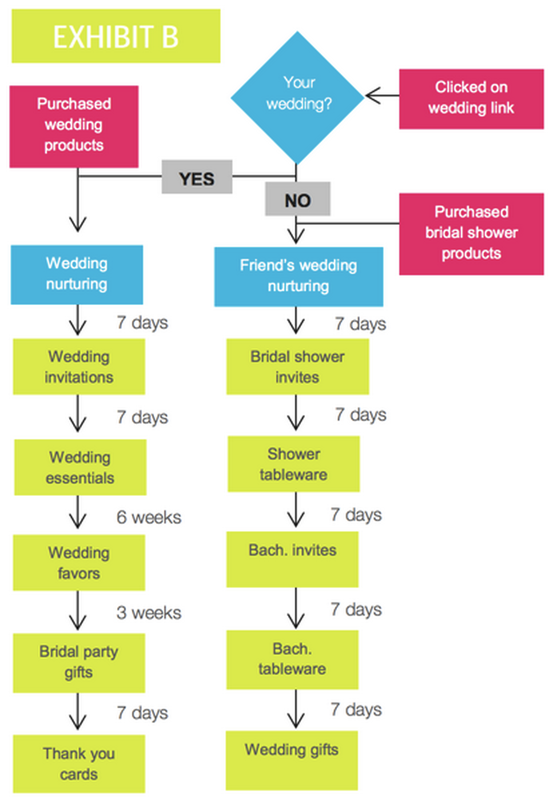 Paper Style, which sells wedding-related products, realized that their audience fell into two distinct buckets: brides and friends or family of brides. By identifying whether someone was a bride or someone helping a bride, Paper Style could personalize their email nurturing campaigns to promote products that a lead was most likely to be looking for at the time. By increasing the relevancy of these emails, Paper Style’s open rates increased by 244 percent, email click through rates increased by 161 percent, and their revenue per mailing increased by 330 percent. This kind of hyper-relevance may be a bit scary, but it’s extremely likely to drive people back to your site or follow-through with their inquiry. Segmentation is a fundamental in marketing. Unlike the shiny tactics and channels that phase in and out, segmentation provides the means to delivering a more relevant message to your visitors. In marketing, there’s nothing better than reaching the right person with the right message at the right time. Segmentation allows us to get closer to that ideal in a way that is both scalable and well-adapted for the online world. Understanding the value of segmentation is the easy bit. The hard part is taking action and applying it to your business. My challenge to you now is to take one idea from this post and start the ball rolling today. Henry Ford’s advice rings very true here: If you always do what you’ve always done, you will always get what you’ve always got. If you want to learn more about segmentation and building interactive forms, feel free to join this free webinar I’m running on how to acquire 300 percent more leads without increasing your traffic. Marcus Taylor is the founder & CEO of Leadformly, a tool that makes it easy to build segmentable lead capture forms.